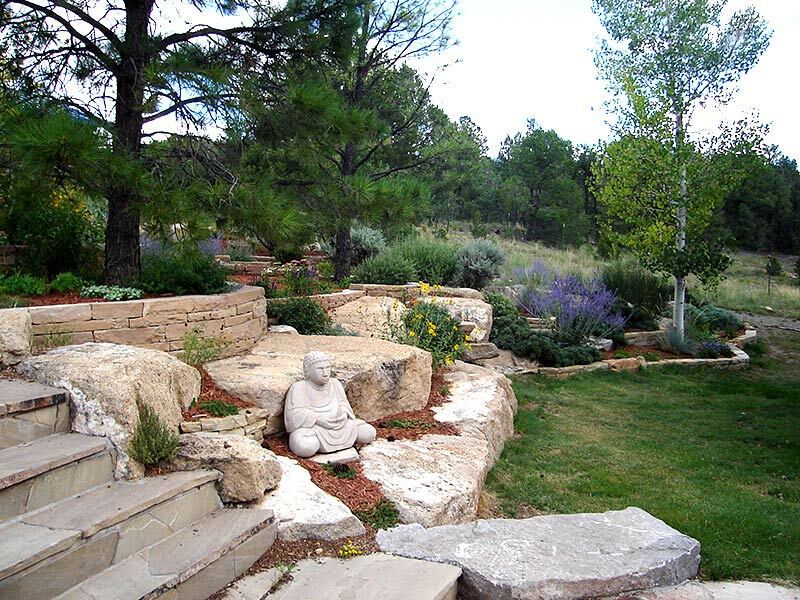 The RainCatcher designs and installs everything from patios, stone walls and terraces, walkways, paths to garden areas with rock accents. 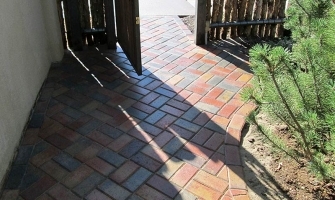 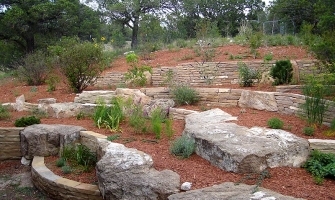 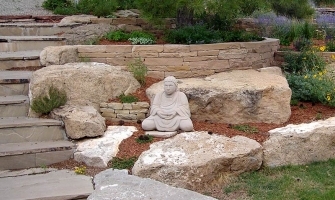 Hardscaping is a permanent infrastructure that can create many wonderful aspects of a new landscape. 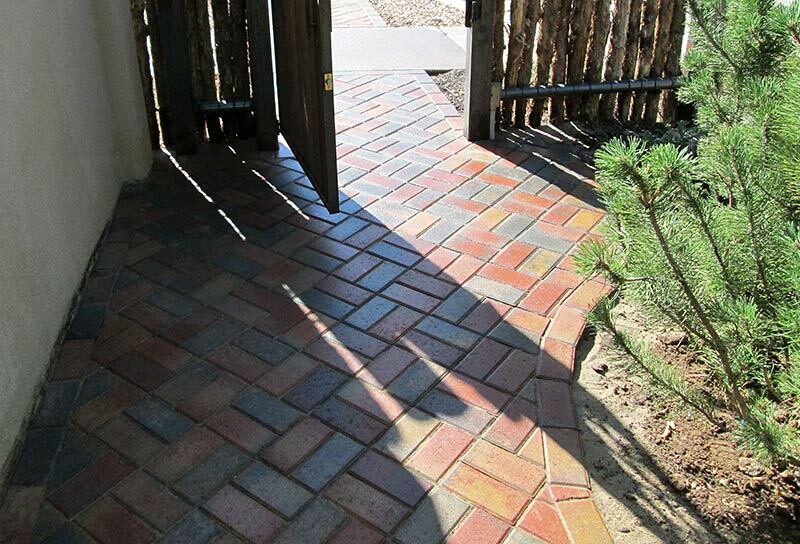 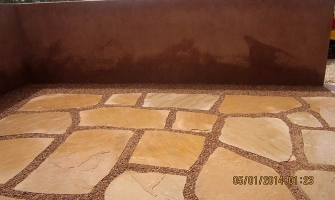 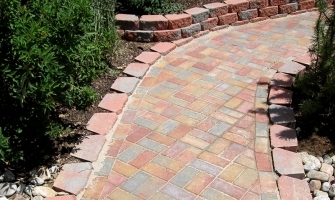 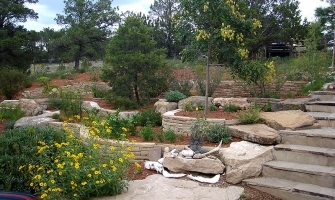 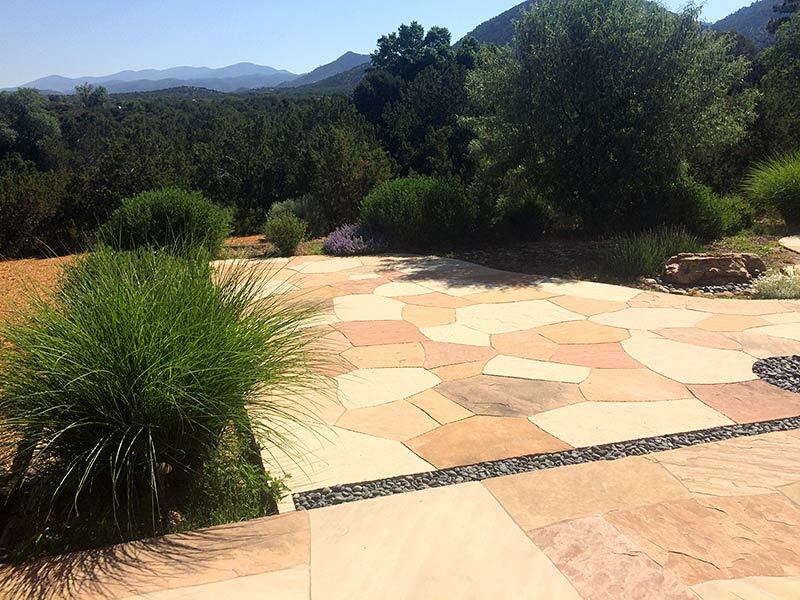 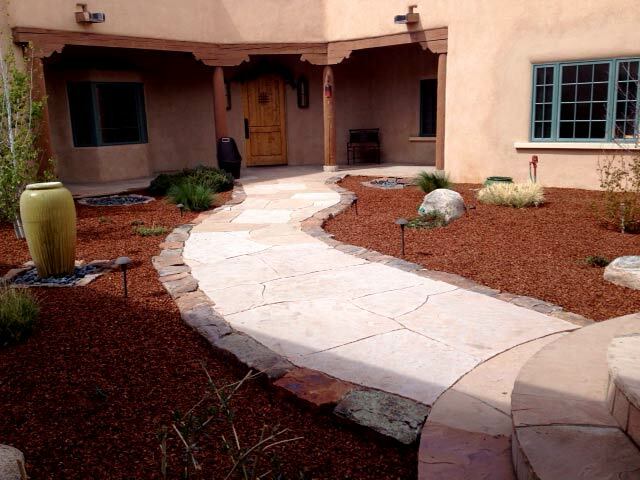 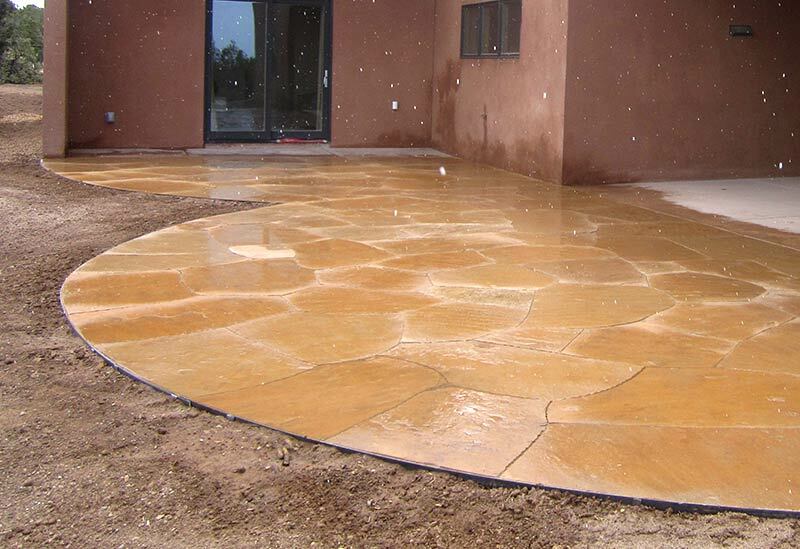 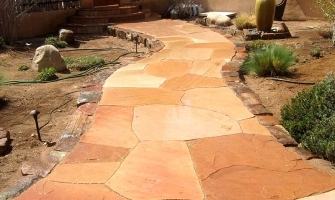 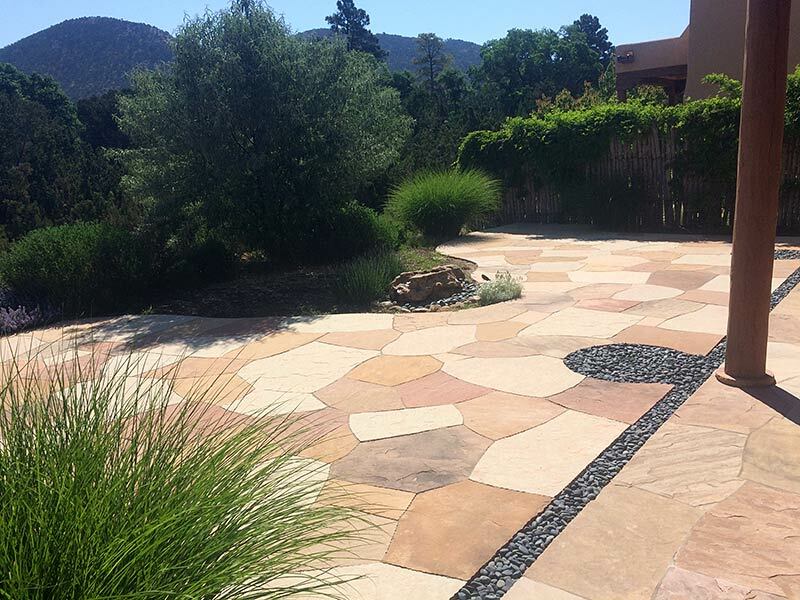 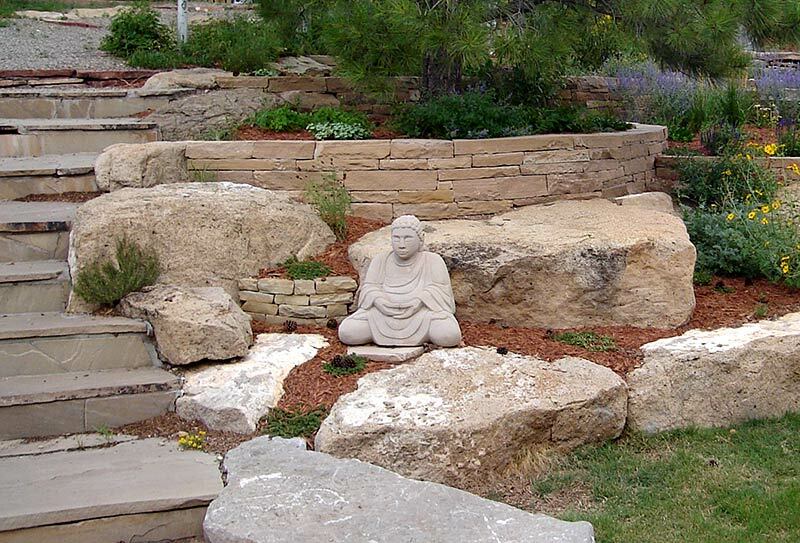 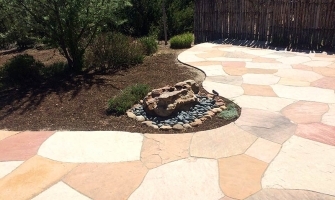 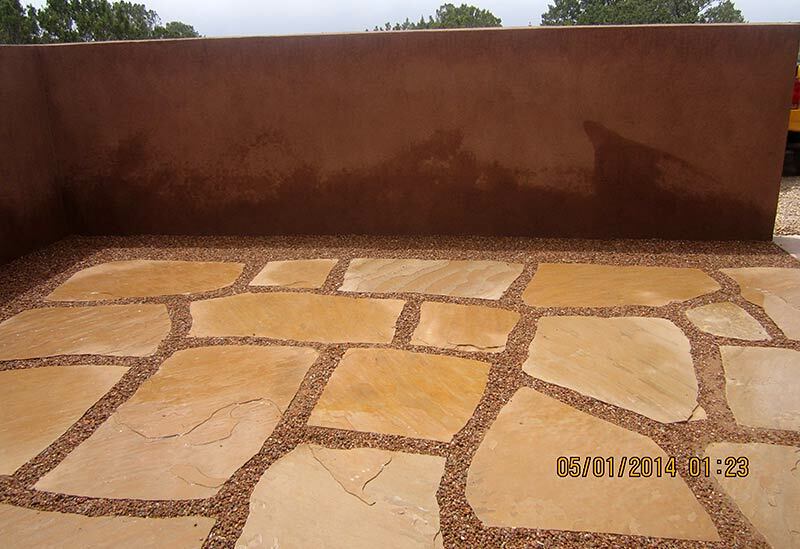 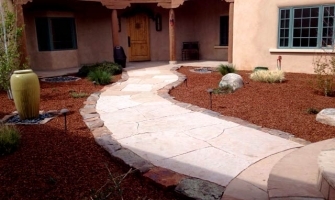 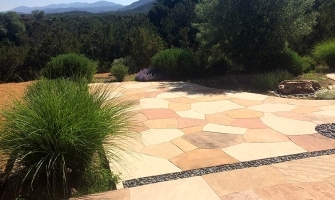 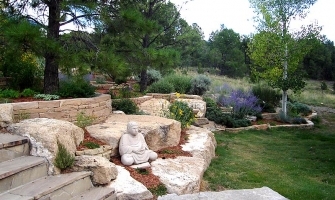 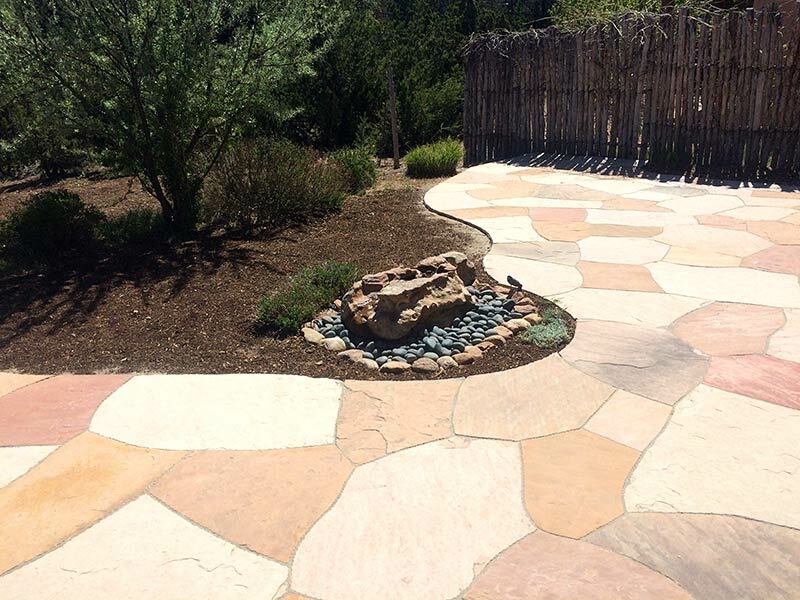 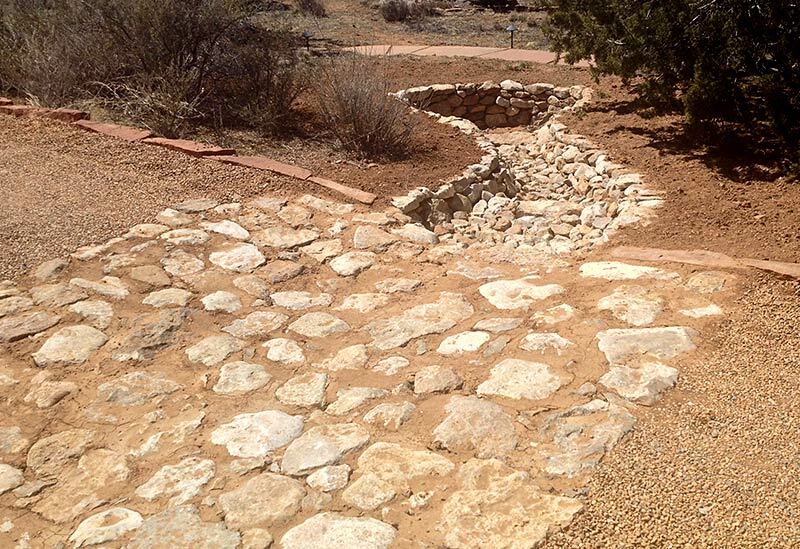 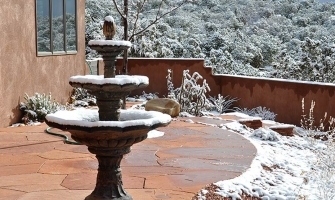 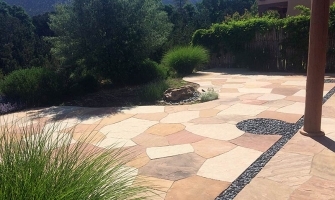 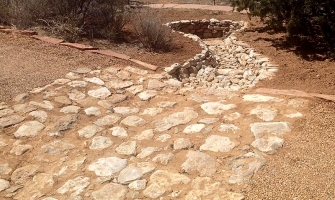 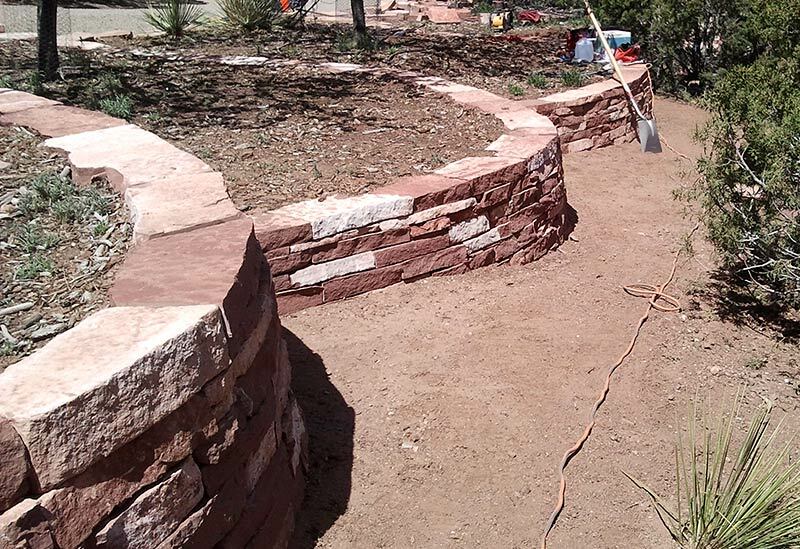 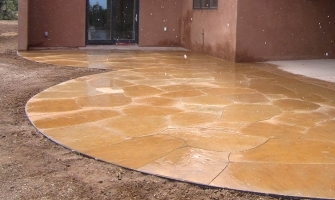 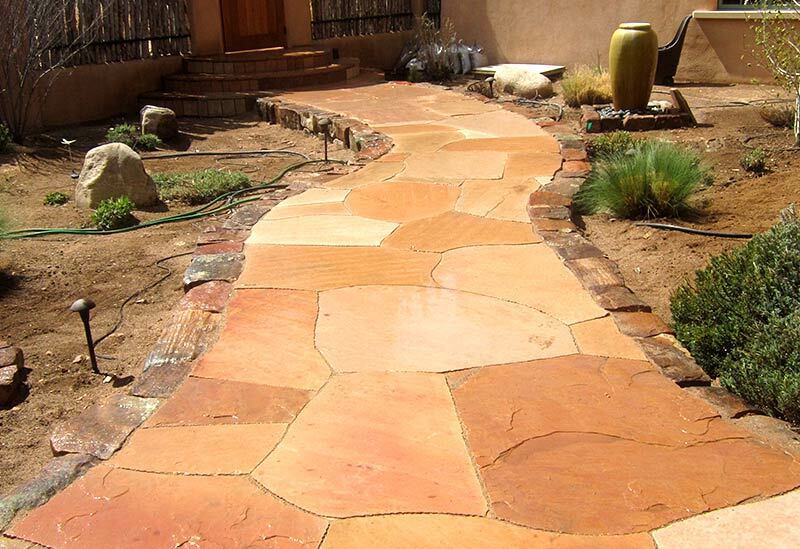 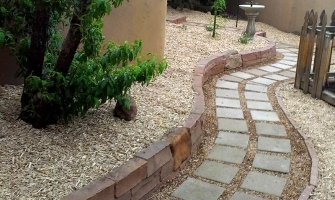 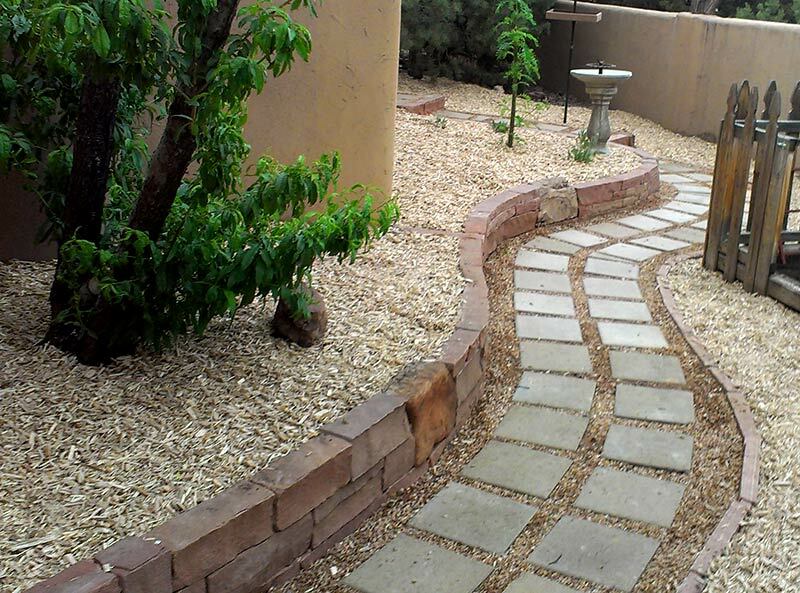 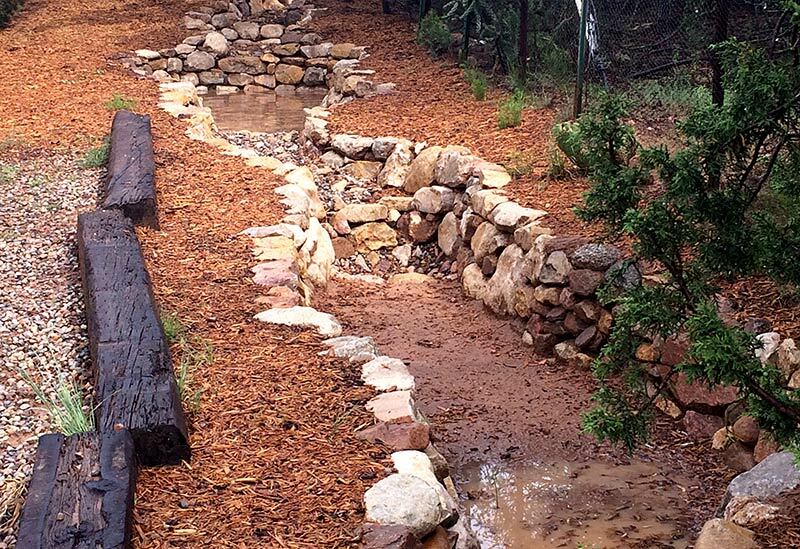 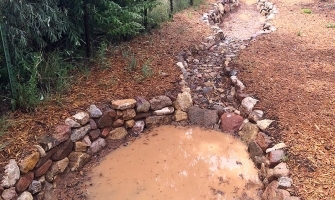 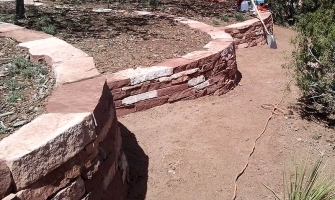 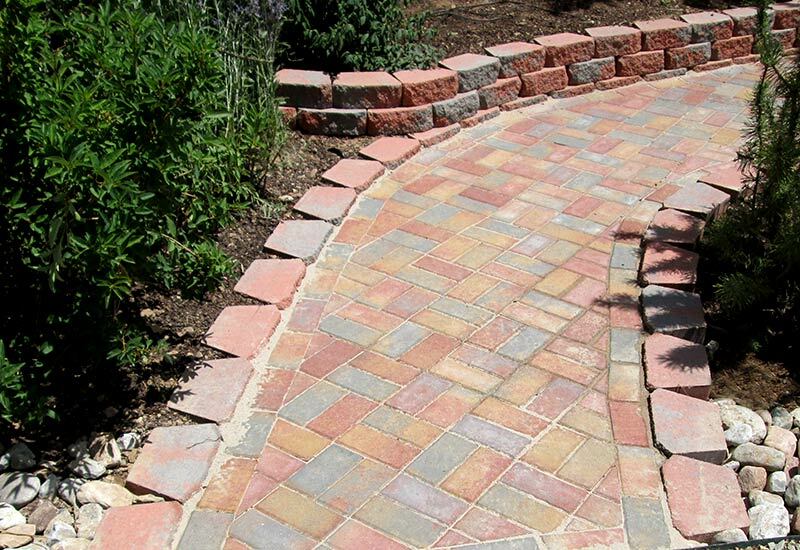 Whether you’re looking for meandering pathways, garden beds, terraces for erosion control, or flagstone patios, The RainCatcher has crews of experienced stone masons to greatly enhance your property by adding these features. 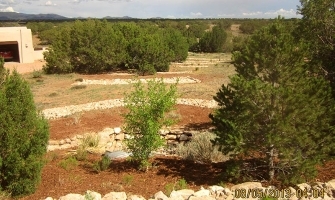 If we look around the land in the Santa Fe area, there are no flat areas. 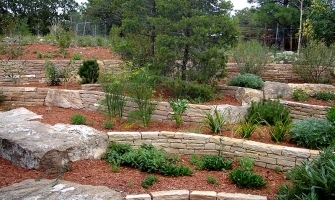 Implementing terraces in the landscape is a smart way to enhance the aesthetics of your property and also to help harvest water. 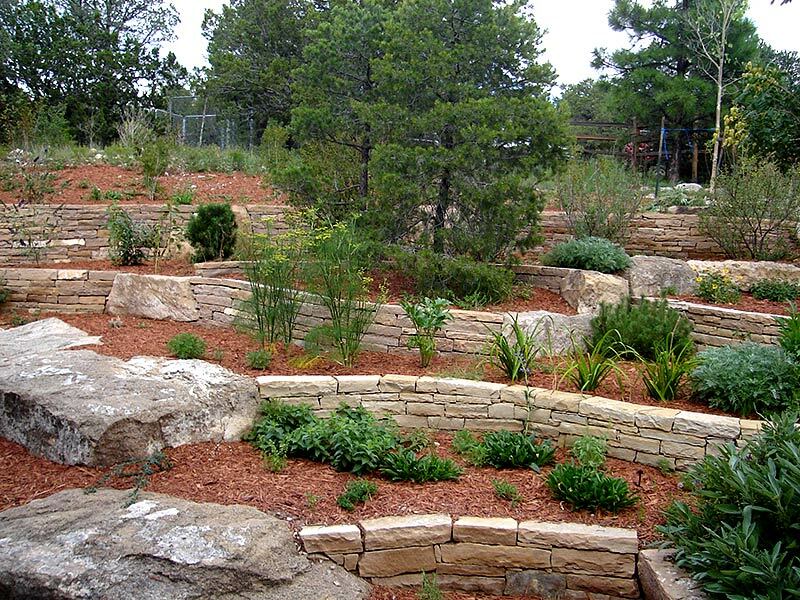 These structures not only create gardening and landscape opportunities that didn’t exist before, but they help the land by harvesting all rainfall and growing healthy soils, which in turn grows healthy plants. 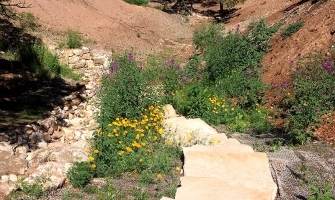 At the same time, these mini-ecosystems create habitat, food and pollination opportunities for wildlife. 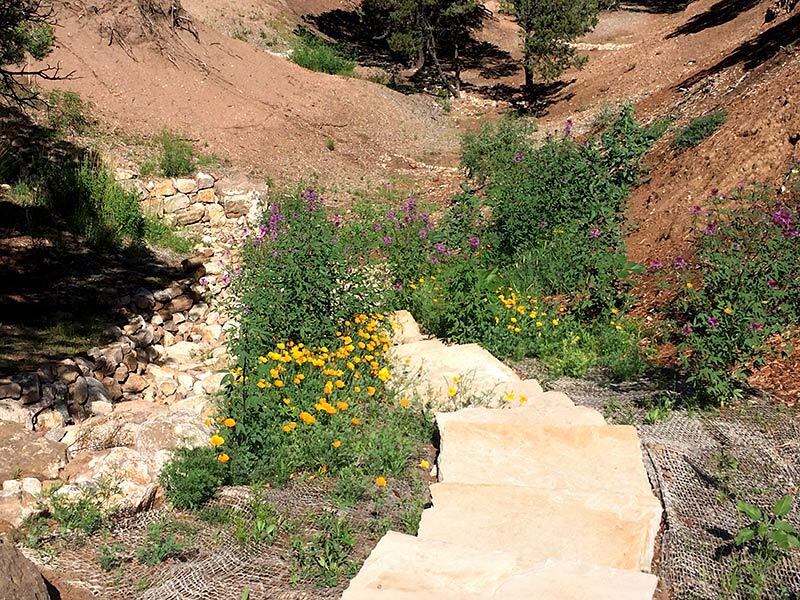 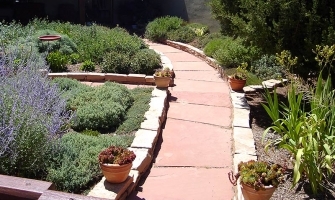 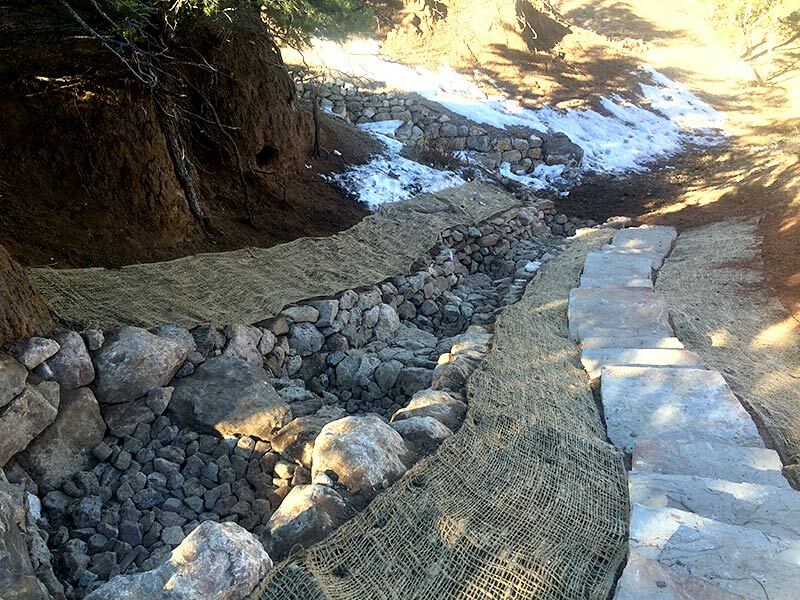 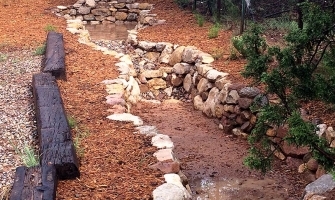 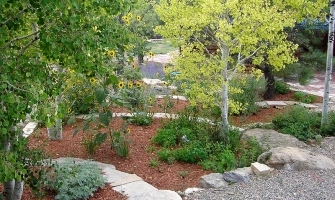 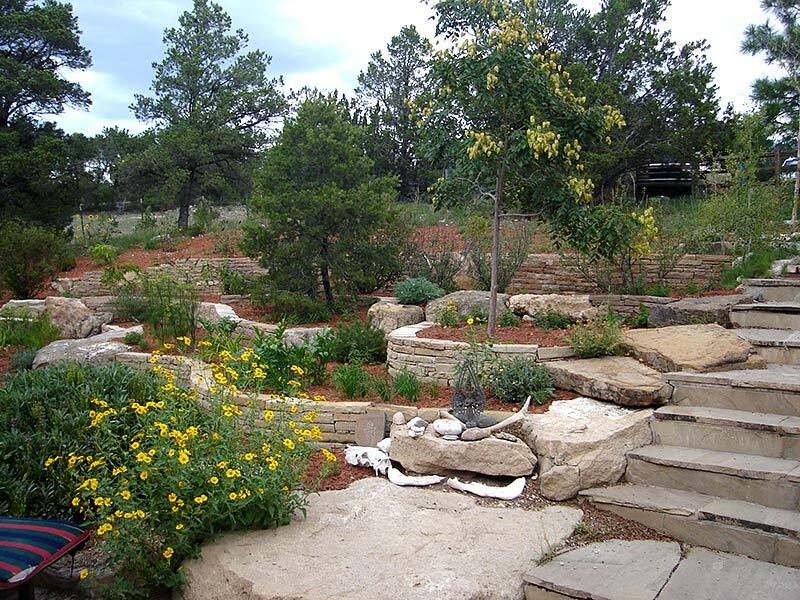 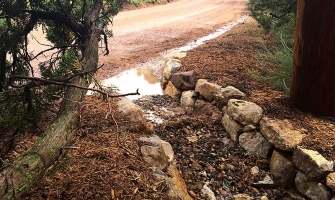 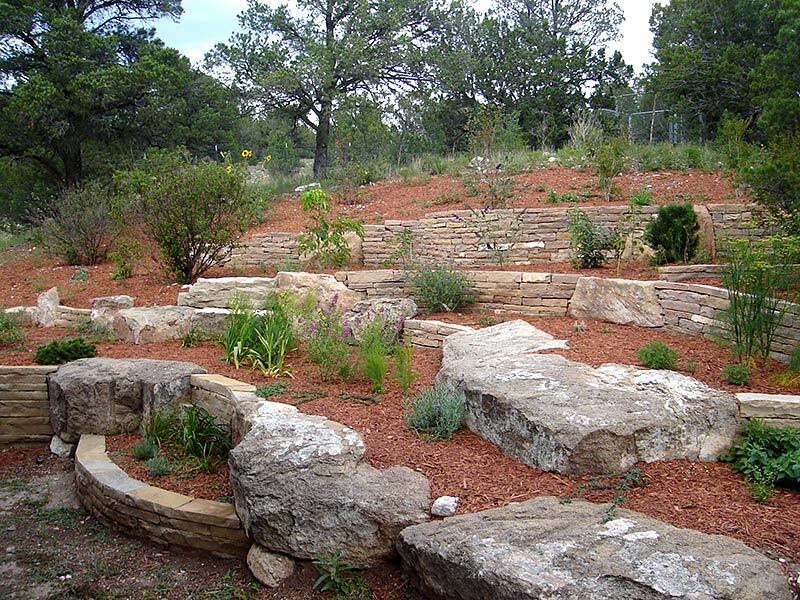 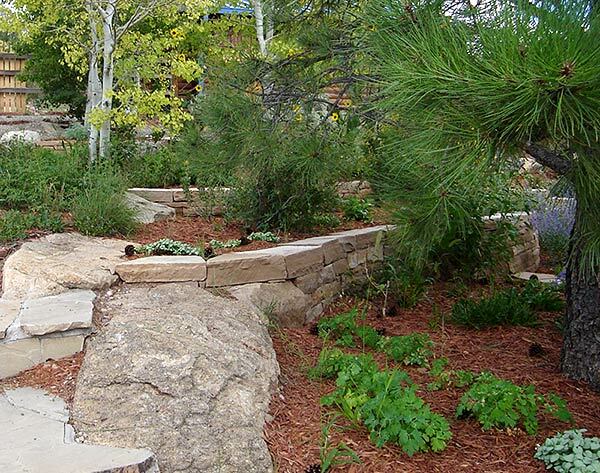 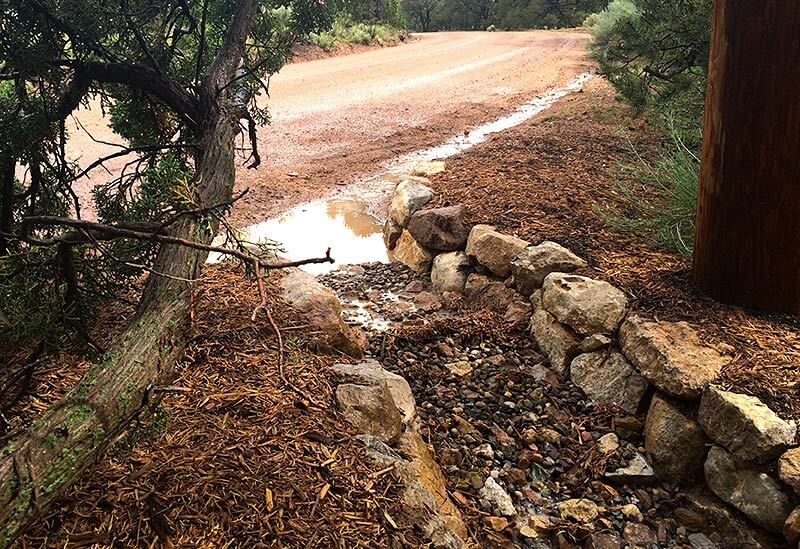 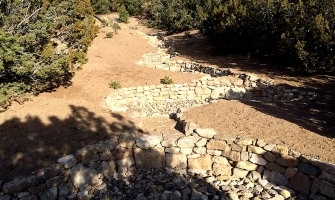 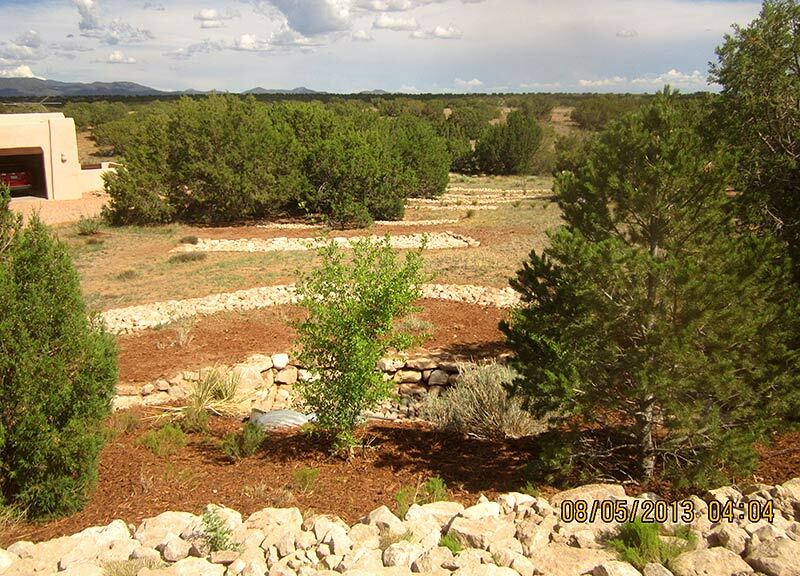 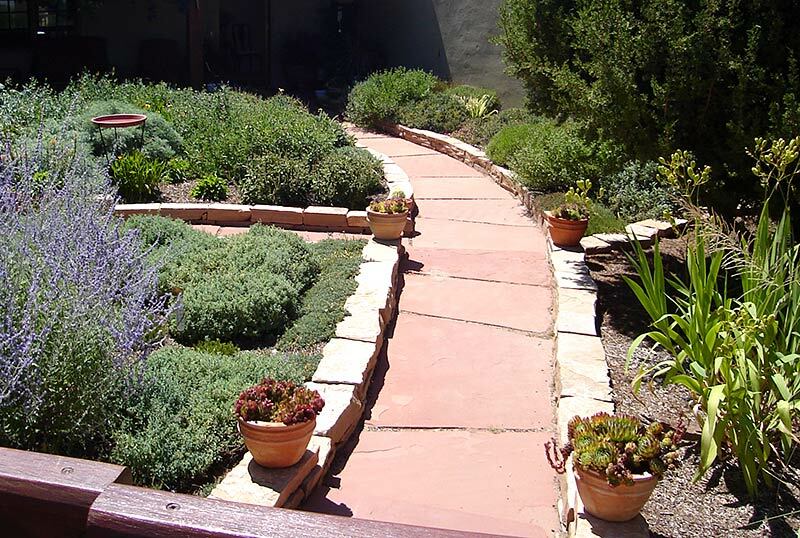 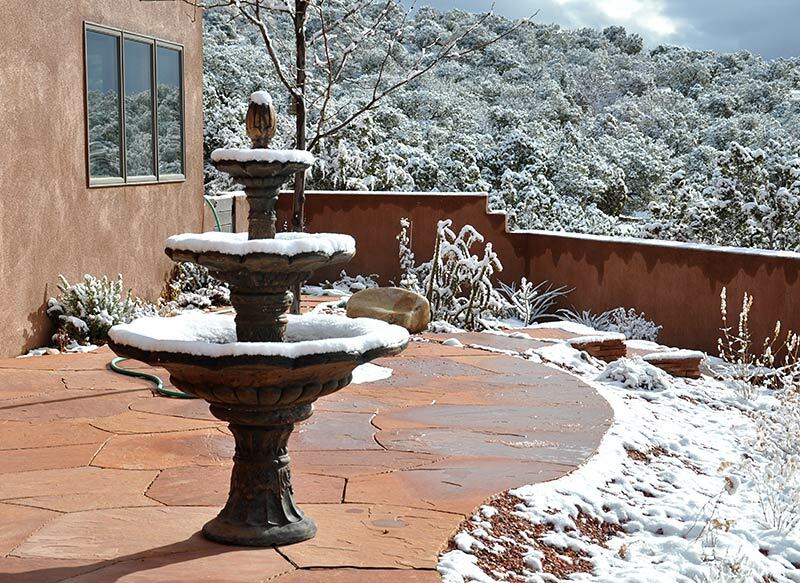 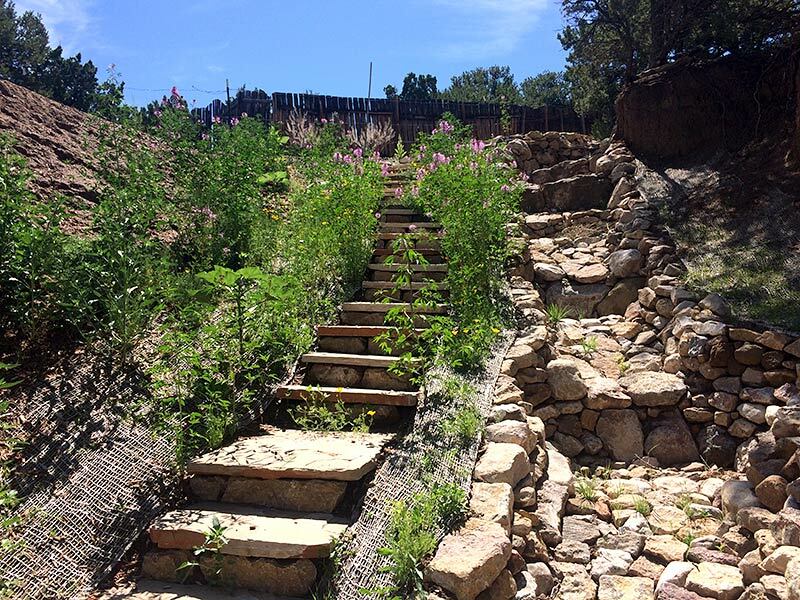 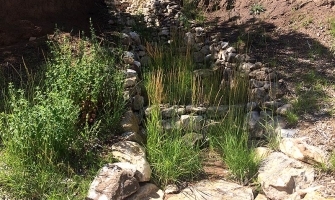 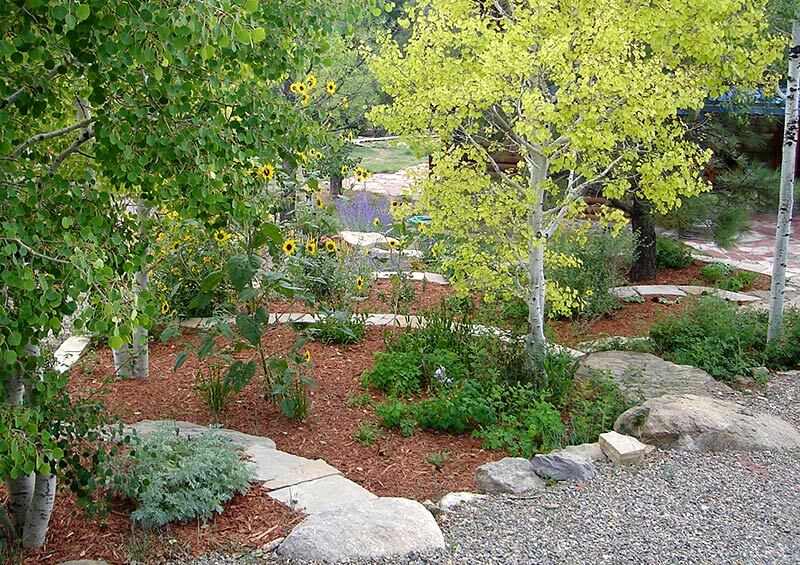 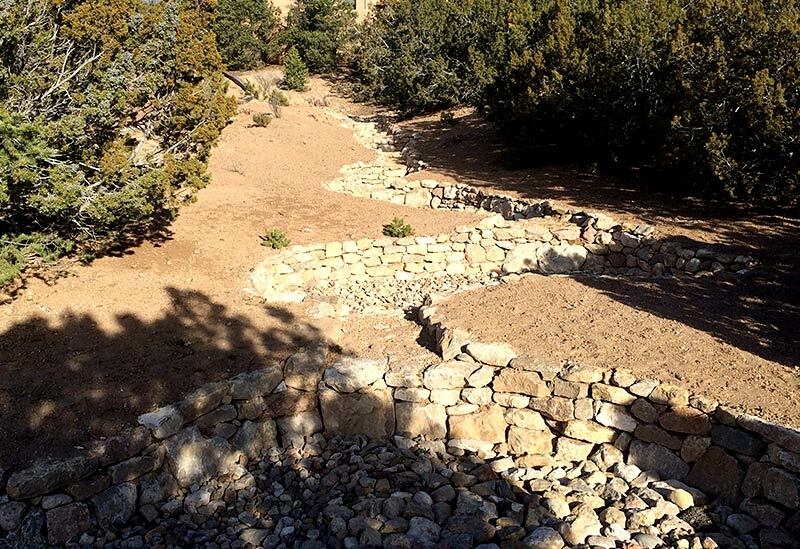 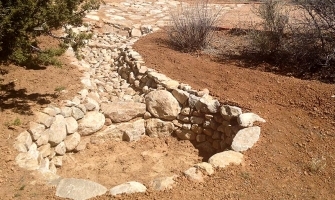 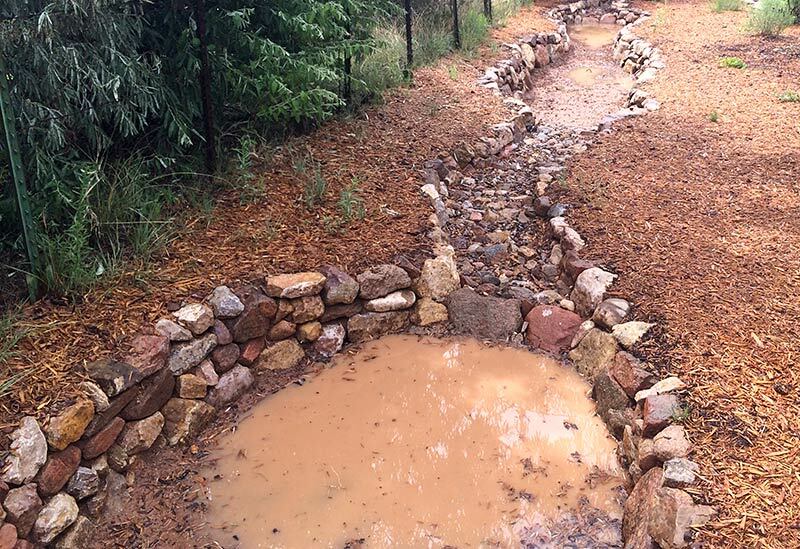 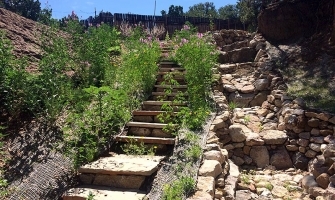 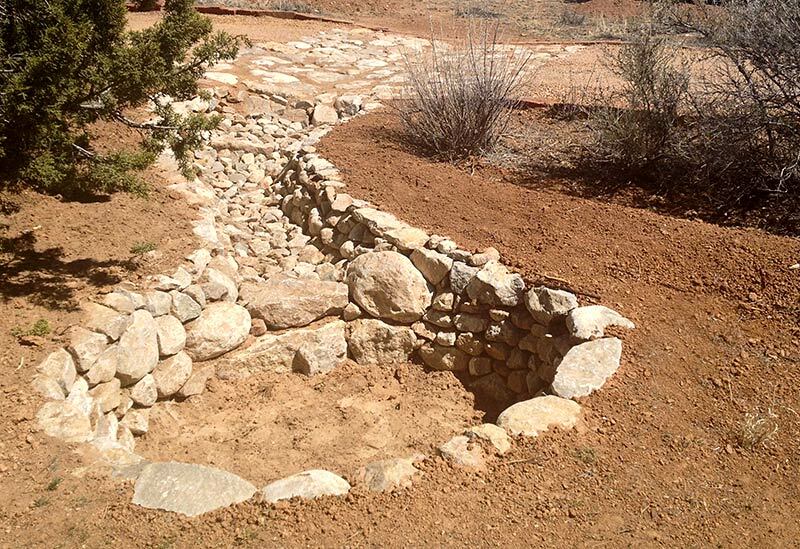 Retaining soils so that they can collect water is one of the most important first steps in waterwise, New Mexico landscape design. 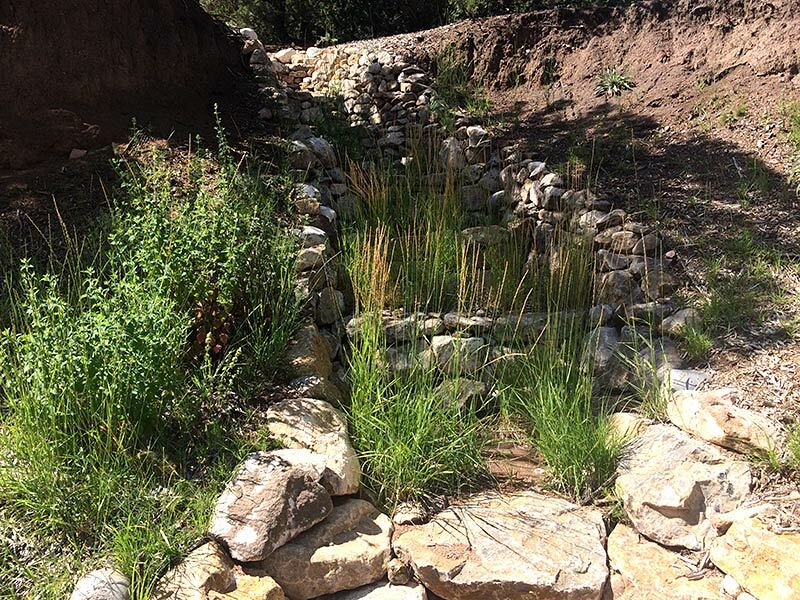 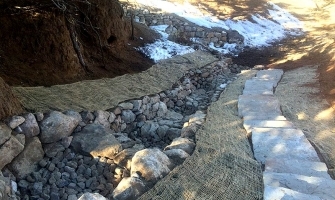 With this first step comes the foundation of a beautiful and sustainable landscape.